According to a report in Izvestia newspaper, Russia’s communications watchdog has issued a thinly veiled threat to Facebook, Google and Twitter under the new controversial ‘bloggers law”. The Director of the Communications Oversight Agency wrote and warned in a letter that the companies would face sanctions and fines if alleged illegal activities continued to take place. The consequences of this would be drastic. If Google were to be blocked, so would Youtube, Google+ and BlogSpot. Similarly, the same would apply for Instagram if Facebook were to be blocked. Social websites and apps Twitter and Facebook, in particular, have been disruptive to proponents of the law, used by organizers and participants of opposition protests in Russia. Major news channels on television are, of course, controlled by the government state. Russia’s controversial new laws are restrictive of the internet, with critics claiming it to be draconian in its nature. The law requires bloggers with more than 3,000 daily readers to register with the mass media regulator – Roskomnadzor. Moreover, the law also asserts that the bloggers should conform to the same regulations that apply to the country’s media outlets and organizations. 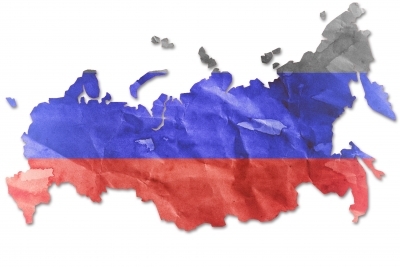 The ‘Blogger’s Law was approved in April by Russia’s upper house of Parliament. Essentially, the law is set up to ensure that bloggers do not operate under the cloak of anonymity. It also adds that social networks such as Facebook and Twitter are required to store six months of data on its users. According to the law, the agency can issue fines to what it sees as violating organizations up to 300,000 rubles or just above $6000. A second infringement may incur a fine that totals up to 500,000 rubles or a suspension of the website for up to 30 days. The law is already in use. Maksim Ksenzov, the agency’s deputy director had initially issued a warning to the three companies on 6th May. Pointing to a violation of the law because the companies did not provide the data requested about the number of daily visitors to certain pages. The three companies have also not provided any information to help the authorities identify the owners of blogging accounts which has more than 3,000 visitors on a daily basis. Websites such as EJ.ru, Kasparov.ru, Grani.ru and others that have been critical of the Russian government have already been blocked in the country. If Google, Facebook or Twitter were to be blocked anytime in the future, you can be safe in the knowledge that using Virtual Private Networks (VPNs) such as IPVanish or ExpressVPN will help in unblocking and gaining access to any blocked sites that may be under fire because of the Blogger’s law.